Dr. Yael Teff-Seker is a post-doctoral fellow and a member of the Socio-Ecological Lab at the Technion – Israel Institute of Technology. Together with adviser Prof. Daniel Orenstein, she is testing a new methodology of walking interviews that incorporates a technique taken from the field of psychology called “focusing”, using it to assess cultural ecosystem services (CES). Yael has a Ph.D. in Conflict Studies from the Hebrew University and is currently a post-doctoral fellow at the Faculty of Architecture and Town Planning. Her previous academic experience includes research of marine planning and policy, environmental education and stakeholder engagement as part of a previous post-doctoral fellowship at the Technion and at the University of Haifa. Other research interests include environmental planning, social psychology and cross-border environmental cooperation. Learn more of Yael’s research from her ResearchGate profile. Follow Yael’s blog “Walking and Talking in the Sub-Arctic: assessing cultural ecosystem services in Western Finland and Cairngorms” to join her fieldwork! 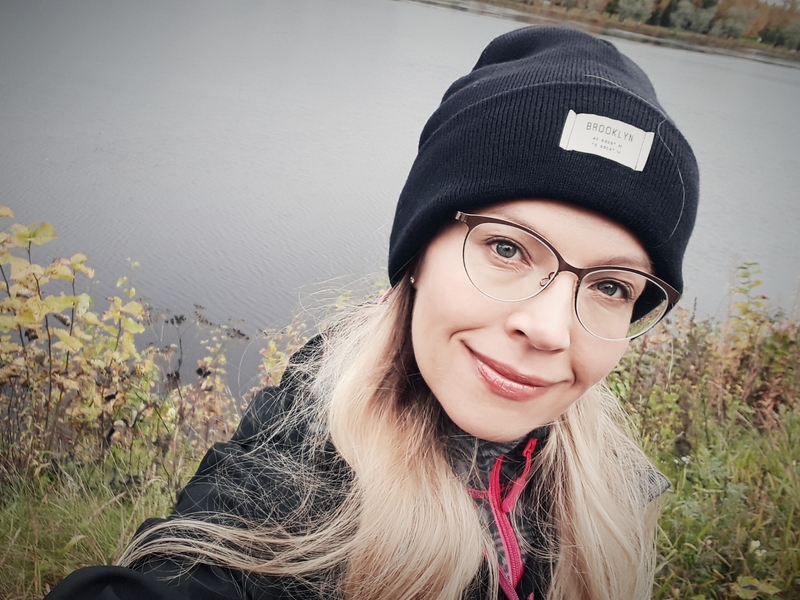 Dr. Outi Meinander is a senior research scientist at the Finnish Meteorological Institute (FMI Climate Research Programme, Atmospheric Composition Research Unit, Atmospheric Aerosols Group, Aerosols in snow WG) in Helsinki, Finland. She has specialized in atmospheric radiation and effects of black carbon and Icelandic dust on snow albedo, melt and density. Her research expertise also includes studies on ultraviolet radiation (UV) and libRadtran RT modeling. The BLACK project focuses on Arctic climate change. 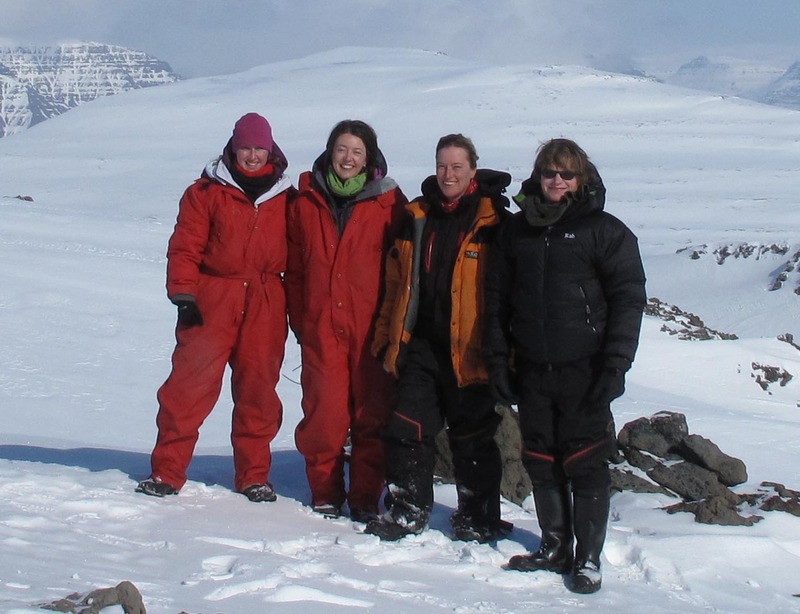 Outi and her team (Laura Thölix, Pavla Dagsson-Waldhauserova , and Jonas Svensson) will investigate black carbon (BC), organic carbon (OC) and dust in the cryosphere and natural water, and also drinking water of the stations. BLACK aims at filling geographical gaps in the current BC data collection concerning cold climate regions at high altitudes and high Arctic latitudes and fulfilling some of the Finland’s chairmanship program goals for the Arctic Council 2017-2019. Follow the blog “Black & Snowy Stories of Three Islands (BLACK)” to join the tales and excitements of field season 2018-2019 in Faroe, Iceland and Scotland, on aerosols in snow and ice, and more! The WILDSENS project is run by a multidisciplinary team working across environmental geography, acoustic ecology and social anthropology: Jonathan Carruthers-Jones, Dr. Alice Eldridge and Dr. Roger Norum. Our projects aims to develop new hybrid methods to create maps of wilderness spaces for use by conservation actors and agencies. Using participatory walking methods along mountain transects, we are exploring ways to integrate geophysical, acoustic and ecological data with human perceptions and attitudes to support better environmental decision making in the future. 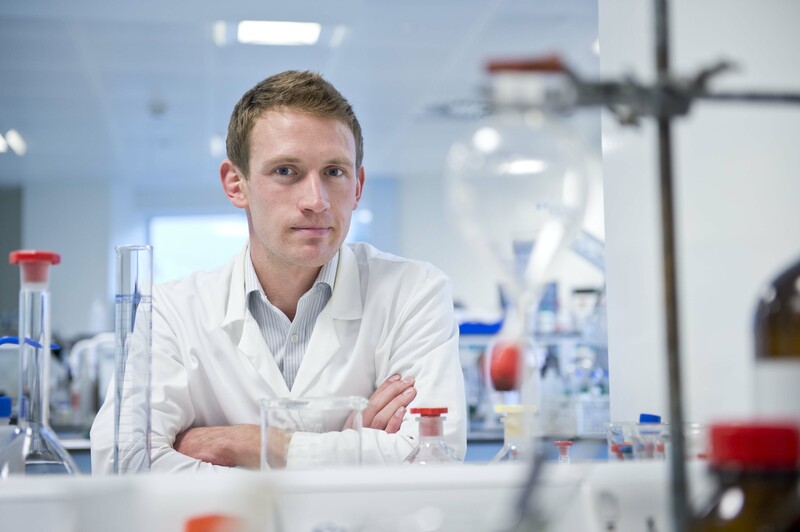 Jonathan Carruthers-Jones is a Marie Skłodowska Curie doctoral fellow and part of the ENHANCE ITN at the University of Leeds. Dr Alice Eldridge is a Lecturer in Music at the University of Sussex; her background in music, psychology, adaptive systems and computer science informs systemic, acoustic research across conservation biology and music technology. Trained at Cornell and Oxford, Roger Norum is a social anthropologist working on media, sociality and the environment. The team share a love of wilderness, an interest in understanding human-nature interactions and a belief in the value of interdisciplinary thinking to enrich theoretical perspectives and develop methods for real world problems. Follow the team’s blog at “WILDSENS: Mapping the Wild” to join the adventure! We are a research team at the University of Leeds, UK, and part of an international collaboration looking at the roughness of glacier ice and snow and its association with melt. As part of the GLARE project (GLacier Aerodynamic Roughness Estimation) we seek to quantify the spatial and temporal variation in ice surface roughness in a range of different environments and test the comparability of a suite of different measurement methods. This summer, we are heading up to stay at Hintereis Station and track the changing nature of the ice surface through the ablation season. We will be surveying it using photogrammetry and terrestrial laser scanning over a range of scales and comparing surface roughness estimates with those obtained concurrently using wind towers and eddy covariance techniques. Joshua Chambers is a PhD student at the University of Leeds. Tom Smith is studying for a Masters by Research also at Leeds. Both are supervised by Dr Mark Smith (no relation to Tom! ), an Associate Professor at Leeds. We will be joined on the glacier by an international team from Germany and Austria. Follow the blog Rough Ice to join the adventure! A research team from the University of Antwerp collaborates in an international context to enravel the patterns of alien plant invasions in mountains. In the current project, they collaborate with partners from Sweden and South-America to focus on invasions in the harsh climatic circumstances of subarctic and subantarctic mountains. Are the alien plants able to survive here? Will they become invasive? Which factors promote or limit their occurrence in the mountains? This summer brings the group to two field campaigns at the Abisko Research Station in Sweden, in late spring and early autumn. The group will set up a field experiment high in the Swedish mountains and monitor the performance of the plants after the harsh winter. Involved in the project: Jonas Lembrechts, PhD-student from the University of Antwerp and the main blogger (see picture). Ann Milbau from the Abisko Research Station, responsible for the whole project and co-promotor of the PhD. Several students helping on the fieldwork adventure. 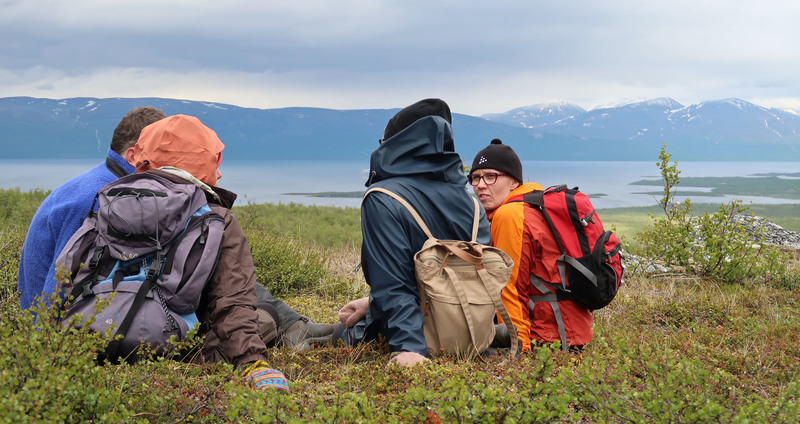 Follow Jonas and his team at the Plant Invasions in the Subarctic Mountains blog. More stories, pictures and information on all the adventures in this PhD-project can be found on www.lembrechtsjonas.wordpress.com. 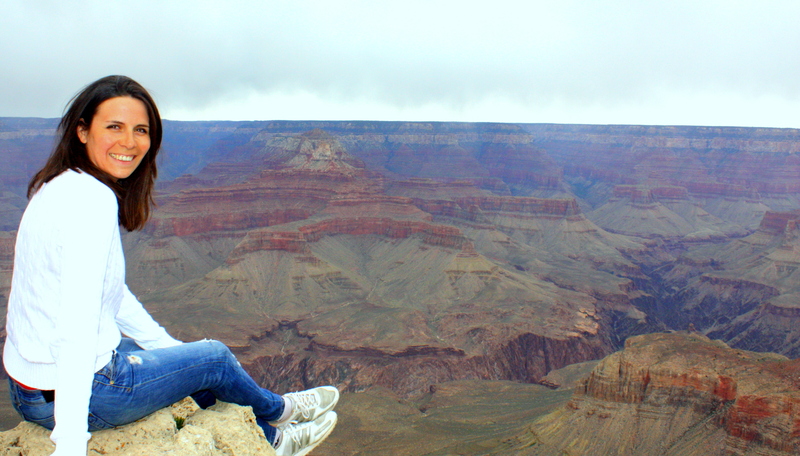 Dr Kathryn Adamson is a Lecturer in Physical Geography at Manchester Metropolitan University. Her research focuses on Quaternary geomorphology, specifically glacial meltwater and sediment dynamics. Tim Lane is a post-doctoral researcher at the Laboratoire de Géographie Physique, Paris, France. His research investigates the timing of changes in the Greenland ice sheet and Greenlandic ice caps. While at Arctic Station in West Greenland and Villum Research Station in the North Greenland, they will study changes in the behaviour of outlet glaciers and meltwater streams from a series of ice caps. They will look at the key controls on ice cap dynamics using a combination of geomorphology, sedimentology, and dating methods. 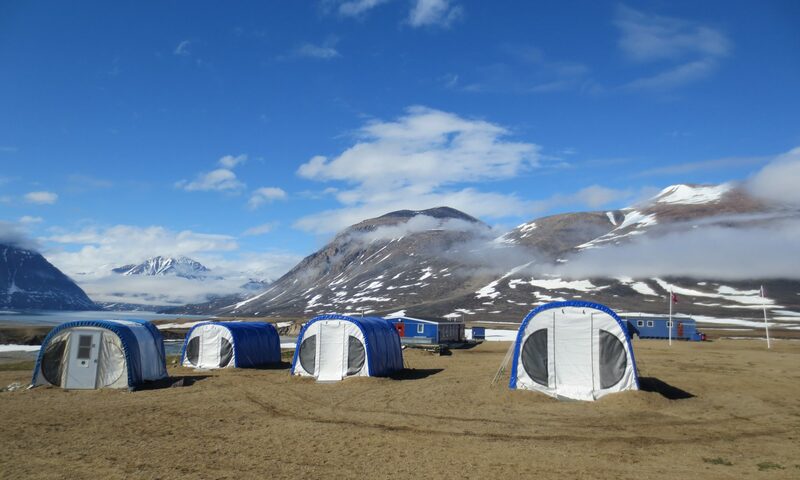 Follow Katryn’s and Tim’s blog SEDIGAP – Investigating sediment and meltwater dynamics in an area of Arctic permafrost to learn more! 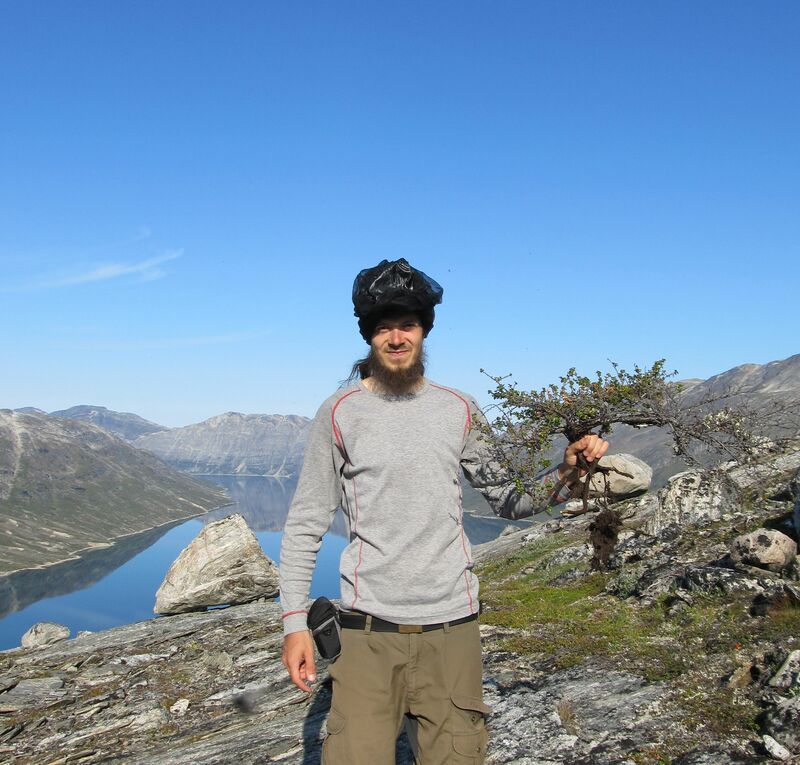 I am a dendrochronologist working – besides other projects – on arctic and alpine shrubs. Shrubs are fascinating, little trees‘ which often do not fulfill the assumptions dendrochronologists normally have regarding ‚normal trees‘. Their specific growth – often prostrate and multi-stemmed – under harsh environmental conditions render them a tough and exciting challenge for dendrochronology. Particularly, they provide valuable insight into the ecology and climatic past of environments in which trees are absent, such as the Arctic and Alpine. Probably I like shrubs because I share their favor for treeless environments. Several trips to the Arctic (Svalbard, Greenland, and Finnmark in Norway) and Alpine (Scandinavian Mountains, Alps, Canadian Rockies) have convinced me that – although being a harsh environment – the ecozone beyond the treeline has several benefits compared to other ecozones. These are I) an often magnificent view which allows to broaden our perspective in any sense, II) a yet complex, but somewhat easier to grasp ecosystem, and III) a beautiful and fascinating flora and fauna which is able to cope with conditions which ‘lowland species’ never could endure. This summer I will get to know a new species and a new part of this incredible landscape – the High Tatra mountains in Poland where I intend to investigate the growth performance of Mountain pine (Pinus mugo) at Kłapa research station. The research trip partly builds on results from earlier INTERACT-trips to Greenland and Norway and seeks to enhance a network of Mountain pine samples from the Alps, addressing the question of the fate of mountain pine in the context of climate change. I am curious about this part of the world beyond the treeline as well as its story and so am I more than happy to share my experiences with you on Arctic Research blogs. Follow Allan’s adventures from his blog Beyondtreeline. Hannele Savela works as the Transnational Access coordinator of INTERACT , which has its offices at Thule Institute at the University of Oulu in northern Finland. She holds a PhD in physiological zoology, and has specialized on the nutritional and reproductive physiology of reindeer. In the blog “Behind the scenes”, Hannele shares her experiences on managing Transnational Access, which is one of the major activities in INTERACT with close to 8 000 person-days of access provided at 43 research stations in Arctic and northern alpine and forest areas. Read the blog Behind the scenes -Transnational Access from the viewpoint of WP4 coordination to learn what’s going on at the moment! Our blog will document research conducted by the University of Leeds at Finse Alpine Research Station, Southern Norway. Here, we will investigate how alpine river ecosystem functioning responds to glacier retreat. We will visit a chronosequence of 14 river sites whose catchments span a gradient of 0-85% glacier cover, to determine how cellulose decomposition and benthic respiration rates alter along this gradient. 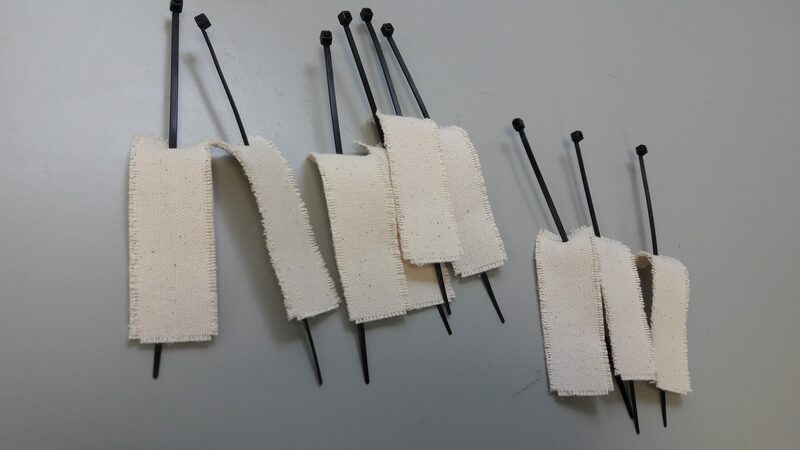 Decomposition will be investigated through the stream incubation of cotton strips (pictured), which will later be analysed for tensile strength loss as a proxy of cellulose decomposition. To identify respiration rates, benthic cobbles and stream water will be placed within ex-situ mesocosm chambers and incubated at stream temperature, with dissolved oxygen concentration measurements taken in the field station laboratory. River gravels will also be sampled do determine the microbial communities present. We will update our blog over our two visits to Finse in late July and early September. Learn more about the team’s field work from blog Functioning at Finse. The GRASP team will be travelling to Tarfala Research Station in summer 2017 where they will be conducting fieldwork on and around Isfallsglaciären, a small polythermal glacier in Arctic Sweden. The team will investigate whether inorganic atmospheric pollutants are concentrated through capture by snowfall and interaction with glacial sediments, aiming to determine whether contaminants released from Isfallsglaciären through melting are enriched in fine sediment to levels that are potentially harmful to the environment or for human consumption. 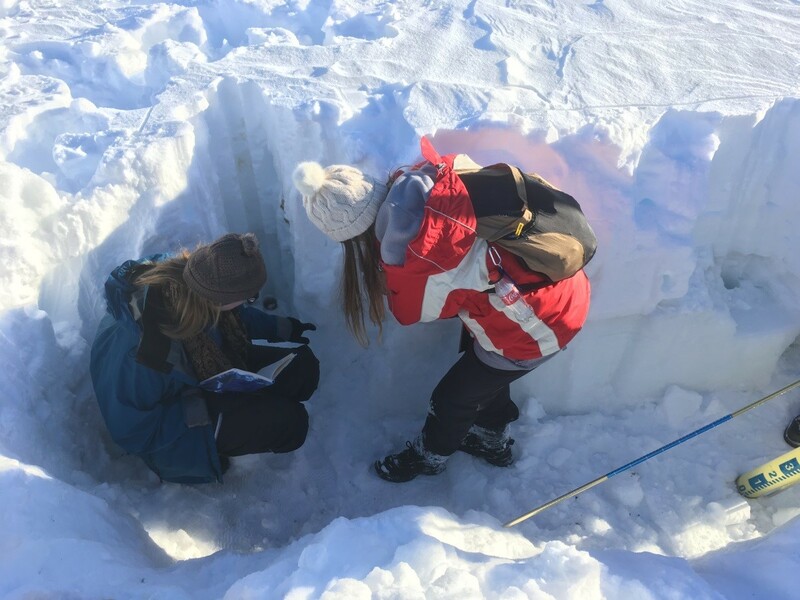 Through conducting this research the GRASP team hope to provide insight into the potential vulnerability of pristine Arctic environments to contaminant-enriched sediments released from glaciers as they retreat in response to a warming climate. 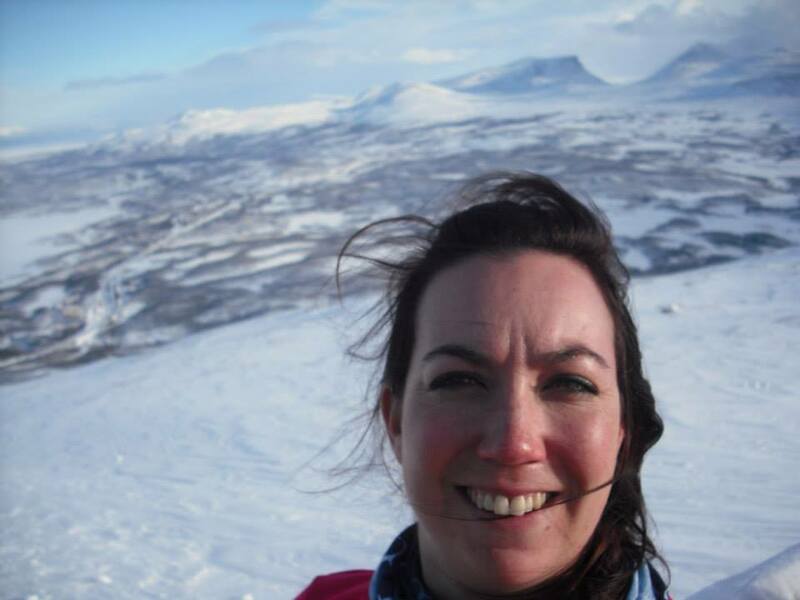 Dr Caroline Clason is a lecturer in Physical Geography at Plymouth University, and specialises in glacial hydrology. She has conducted multiple field seasons in the Arctic, including the Kebnekaise region, and her research expertise include modelling of ice dynamics and hydrology, and studying the transit time and pathways of both meltwater and hydrocarbon pollutants through glaciated catchments. Caroline will be joined in the field by Dr Nick Selmes, an Earth Observation Scientist at Plymouth Marine Laboratory. Nick specialises in both remote sensing and field-based cryospheric research, including glacial hydrology, and has extensive experience of fieldwork in the Arctic. The GRASP team also includes glacial geomorphologist Dr Stephanie Mills and catchment scientist Professor Will Blake (Plymouth University), who will be contributing to data analysis in the Plymouth University Consolidated Radioisotope Facility on return from Tarfala. Follow the blog Glacier recession as a source of environmental pollutants (GRASP) to join the adventure! 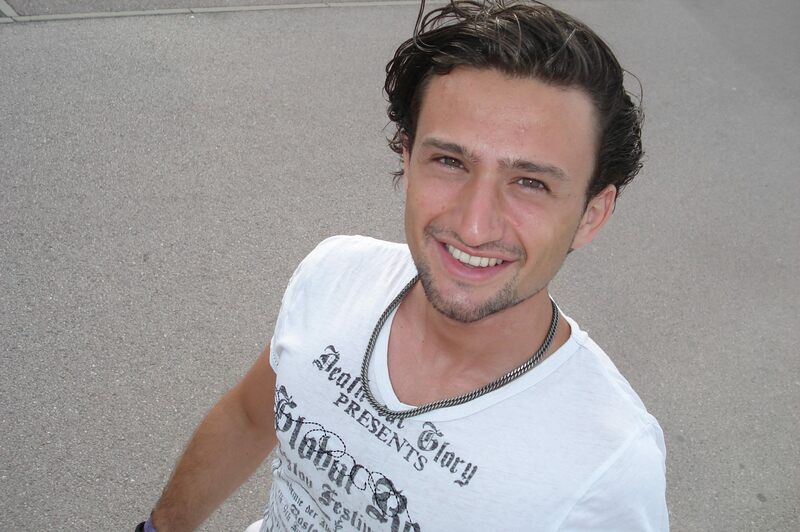 I am Fabian Ercan from Utrecht, The Netherlands. I have studied Biology (BSc) and Environmental Biology (MSc) at Utrecht University. Currently I am employed at the department of Physical Geography at Utrecht University as PhD candidate on the project “Growing season changes over the past Millennium in northern high latitudes”. In my research, I am working on a better understanding of the lengthening of the growing season in the Arctic Regions. The vegetation of the Tundra and Taiga in or adjacent to the Arctic responds to this change, resulting in a shift of environmental balance in these ecosystems. The fieldwork areas include Greenland and Fennoscandia. In order to understand a ‘change’ one also has to look at the past. Fossil plant remains from lake sediments capturing the climatic conditions over the last ~1000 years will be investigated in order to contextualize and quantify the changes over a longer period of time. My blog will cover the preparation, trip and aftermath of the fieldwork at the Arctic Station on Disko Island and some other areas on Greenland. I will be accompanied in the field by my supervisor and team members. Follow Fabian’s work from his blog Greenland Fieldwork to learn more! My name is Paulina Wietrzyk. I am a PhD candidate at the Prof. Z. Czeppe Department of Polar Research and Documentation at Jagiellonian University in Cracow (Poland). Previously, I have studied Biology and Geography (BSc) and Biology and Geology (MSc) at Jagiellonian University. Research within this project will be my third fieldwork conducted in Svalbard. Together with my colleague, Michał Węgrzyn (PhD at the Prof. Z. Czeppe Department of Polar Research and Documentation), we will be traveling to Sverdrup Station in Ny-Ålesund (NW Spitsbergen, Svalbard). In the glacier forelands which are located in this area we will investigate the primary succession process of vegetation. 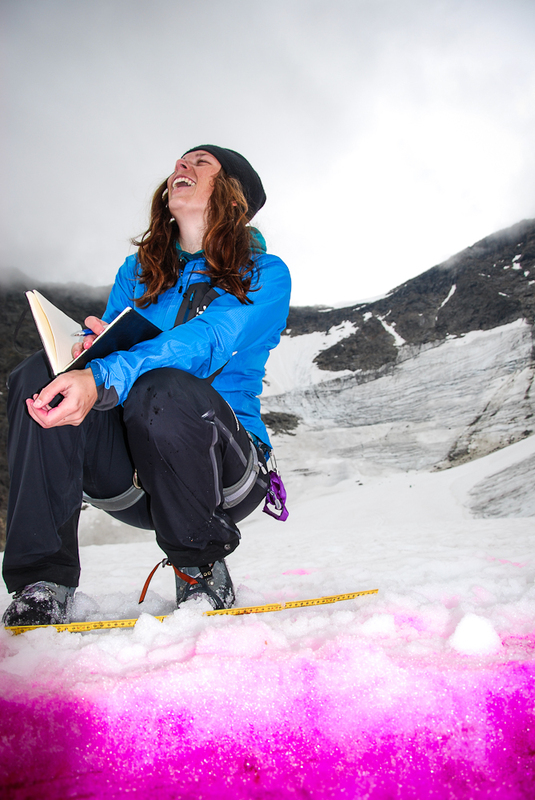 Currently, glacier forelands serve as an important ‘natural laboratory’ for research on this process. Our project focuses on the importance of cryptogams (lichens and bryophytes) in the colonisation process on glacier moraines. Both, bryophytes and lichens are consider to be pioneer organisms. We will try to find out if all the Arctic cryptogam species are the pioneers in the freshly deglaciated area and describe their participation in the plant communities which developed across the studied moraines. Follow Paulina’s blog Cryptogams – in search for hidden life in the glacier forelands to join the adventure! MAGDALENA OPALA-OWCZAREK and PIOTR OWCZAREK; blogging from Rif Field Station in Iceland and CEN Whapmagoostui-Kujjuarapik station in Canada. Dr Magdalena Opala-Owczarek is an early career researcher in Climatology at the Faculty of Earth Sciences, University of Silesia (Poland). Her research focuses on late Quaternary climate changes, using dendroclimatology. Dr hab. Piotr Owczarek is a researcher in Physical Geography at the Institute of Geography and Regional Development, University of Wroclaw (Poland). 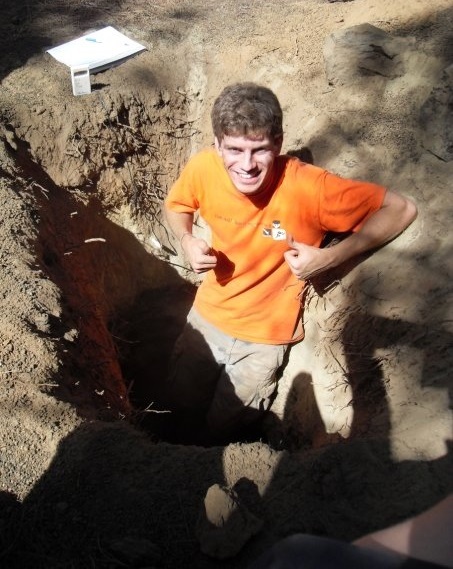 His specialization is Quaternary geomorphology, specifically dendrogeomorphology of polar and mountain environments. In the previous years they were working together in some sub-arctic and high-mountain sites using tree rings as proxies for climatic and environmental changes. This summer they will be traveling to Rif Field Station in Iceland (July) and CEN Whapmagoostui-Kujjuarapik station in Canada (late July- early August), where they will study how modern climate changes affect the terrestrial ecosystems. The REACT team will investigate how shrubs and dwarf shrubs, growing in the maritime or more continental subarctic and arctic climate zones, react on extreme weather phenomena. They will look for signs of rain-on-snow and other extreme climatic events in the growth-ring records of the Arctic plants. Involved in the project is also Professor Krzysztof Migala (climatologist from University of Wroclaw), who will join them for the fieldwork in Iceland and will be contributing to data analysis on return from the field stations. A research team from Systematic Botany and Mycology lab. of Tuscia University, Italy will travel to Kobbefjord Station (West Greenland), hosted by Greenland Institute of Natural Resources (GINR) in Nuuk. Involved in the field adventure: Claudia Coleine, PhD-student from Tuscia University and Claudia Pacelli, who got her PhD last June and now she is postdoc at Tuscia University. Other two team members are Prof. Laura and Selbmann and Prof. Laura Zucconi (project leader) and will be contributing to data analysis on return from the field stations. Research within this project will be their first fieldwork conducted in Arctic. COMICS-G project aims to study the biodiversity of the soil microbial community in West Greenland Arctic land. Data obtained will give clues on microbial evolution, biodiversity, still pretty limited, and on adaptations of these microorganisms, allowing to monitor any future variation. They will update their blog before, during and over their visit to Greenland in late July early August, and are more than happy to share their experiences with you on Arctic Research blogs. 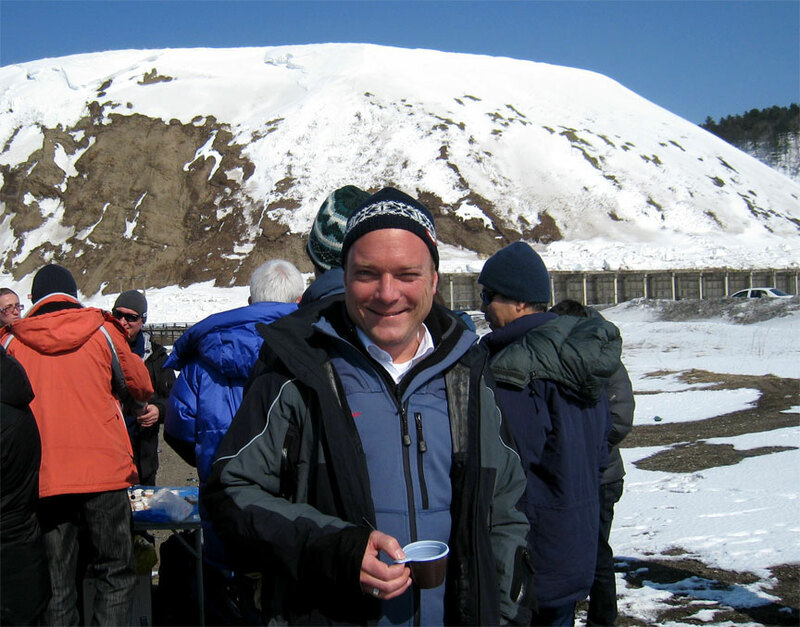 Rüdiger M Schmelz is a team member of the INTERACT TA project GeneFreeze. He works at the Institute for Applied Soil Biology in Hamburg, Germany. 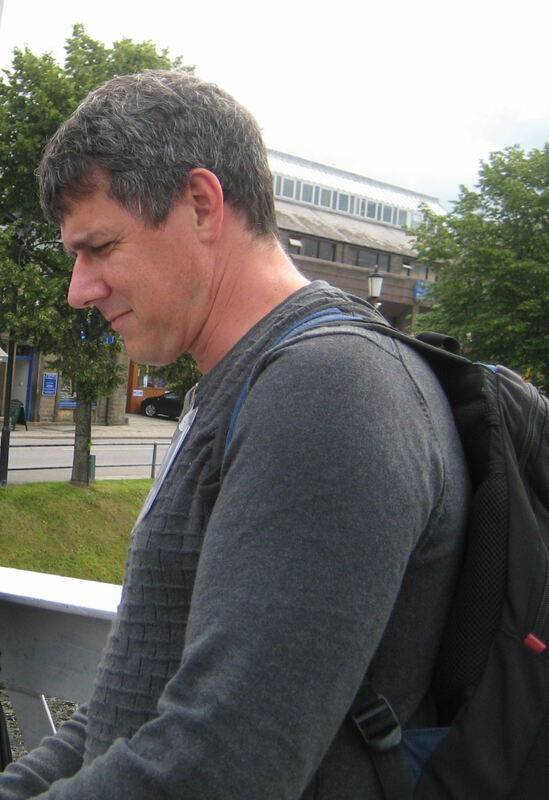 He’s also an external collaborator at GIBE, Evolutionary Biology Research Group at University of A Coruña in Spain. He also works as the zootaxa subject editor for the Oligochaeta -journal. 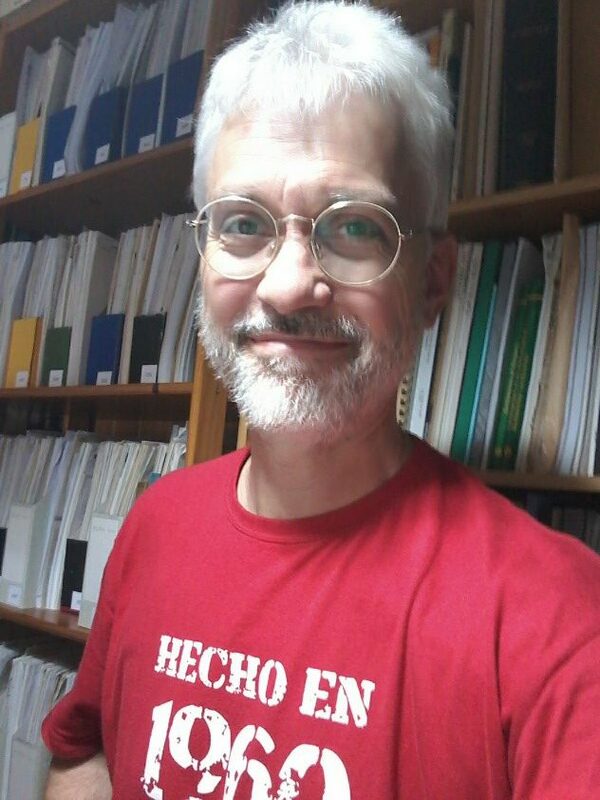 His research activity is focused on a group of oligochaete worms, the ENCHYTRAEIDS, with expertise on its taxonomy and ecology. Rudiger also has a degree in philosophy, and he likes to play a jazzy flute. Learn more about oligochaetes from the blog Greenland enchytraeids. 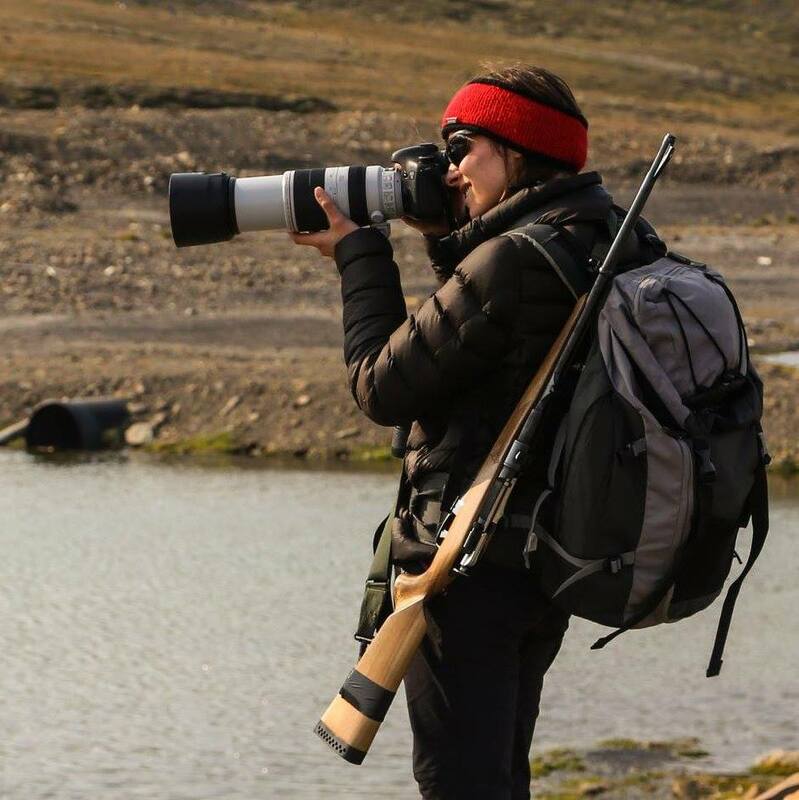 Karen travels to Tarfala Research Station this summer to study algae growing on the surface of Storglaciären. These ice algae contain dark pigments to protect them from the sun’s harmful UV radiation. Where these algal communities thrive, their pigments help to darken the glacial surface and consequently enhance melt. Karen will be observing how these microbial communities respond to changes in their environment through a series of analyses and manipulation experiments. 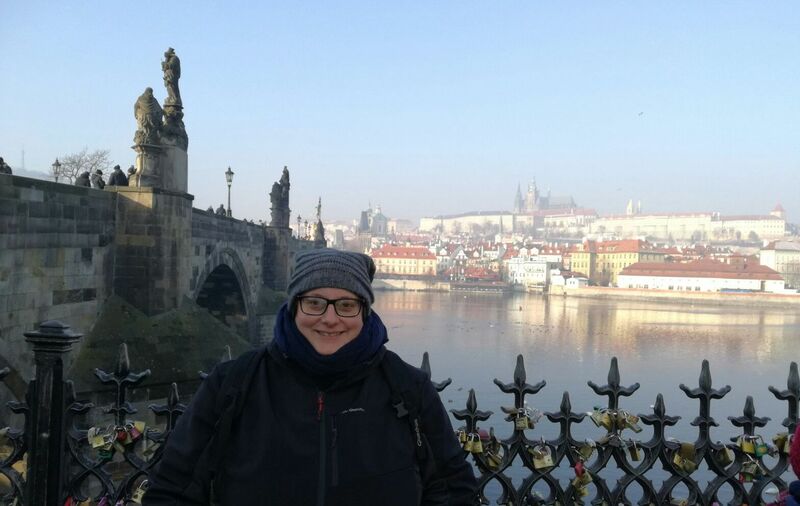 Karen has a research background in the microbial ecology of glacial environments and is currently a Marie Skłodowska-Curie Actions COFUND research fellow at Aberystwyth University, UK. She is delighted to be joined by colleagues in early July and late August, who have kindly offered their muscle power to help lighten the load! You can follow Karen throughout the summer in her blog “Algae on ice“. 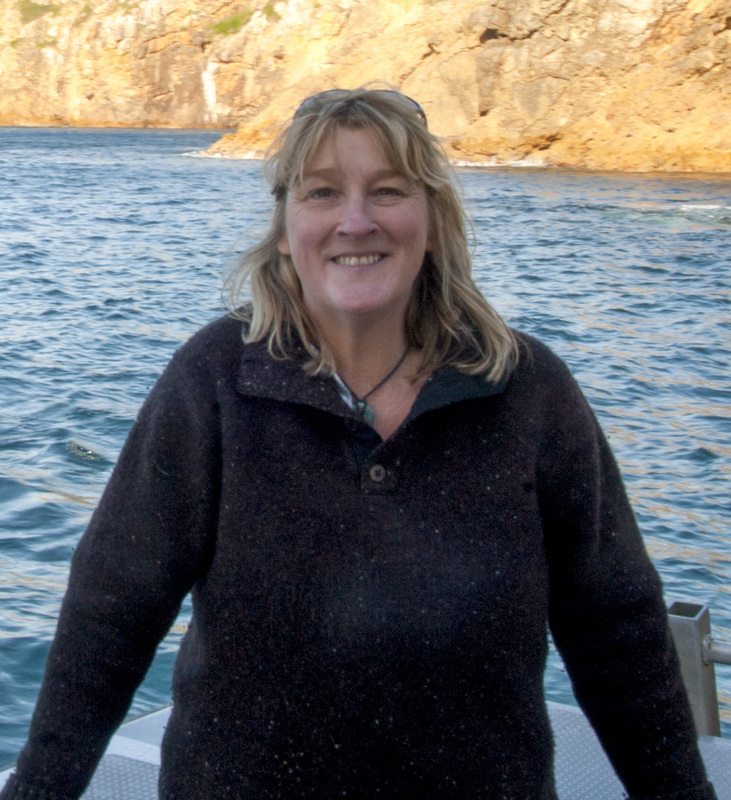 Cath is a Polar ecologist with a focus on intertidal and nearshore habitats. Her previous work on community structure and development has been mainly on or around the Antarctic Peninsula and islands. Along with the Arctic these are the fastest warming places on the planet and little is known about what is going to happen to the plants and animals that live there. She is interested in how changes in environmental conditions and increasing human activity will affect the native species and how non-native species may alter these fragile ecosystems. She is currently working on the impacts of plastic pollution (especially microplastics) on Polar nearshore systems and the spread of non-native species by rafting on anthropogenic and natural flotsam. 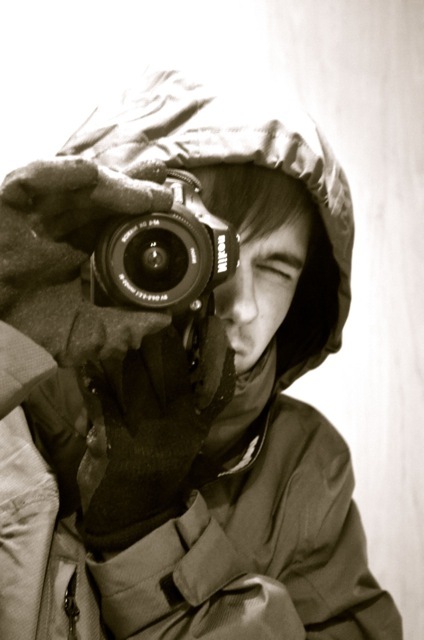 Huw is a marine biogeographer with an interest in the Polar Regions. He has worked for the British Antarctic Survey since June 2000 and participated in several expeditions to Antarctica and the Arctic investigating benthic biodiversity and biogeography. His interests include large-scale biogeographic and ecological patterns in space and time with a focus on molluscs, bryozoans, pycnogonids, echinoderms and sponges as model groups to investigate trends at high latitudes. Follow the team in their fieldwork from BEACh- Biodiversity and Ecology of the Arctic Intertidal: Changes Over Time. The CAPISCO-project (Competition, Adaptation and Parsitoids of Invasive Species in northern COmmunities) consists of Post-doc Tea Ammunét and researcher Helena Bylund from Swedish University of Agricultural Sciences in Uppsala. We both have been studying the population ecology and dynamics of geometrid moths in northern Fennoscandia, where the common moth species have caused vast defoliations of mountain birch forests every ten-or-so years. We are highly interested in how the moths interact with each other, with other trophic levels and are affected by climate change. We will collect preliminary data on spatial characteristics of invasive and resident moth populations regarding adaptation to temperature and parasitism. The data collection will be done in the vicinity of Kilpisjärvi, Kevo, Bioforsk Svanhovd and Abisko research stations at sites representing climatic variation from coastal to continental areas and with varying time frames of the establishment of a new moth species. The locations of the research stations and the long tradition of geometrid research gives us an unique opportunity to combine newly occurring events with well established knowledge. Read Tea’s and Helena’s blog Capisco? – Searching answers to large scale dynamics in insect populations. My project entitled ‘Uptake of insect-derived nitrogen by Pinguicula vulgaris assessed using δ15N stable isotopes – PING15’ aims to determine the proportion of nitrogen obtained from insects by butterworts, carnivorous plants that are common in the arctic. I will sample plants, soil and insects from two Finnish sites, analyse them for the ratio of heavy (15N) to light (14N) nitrogen and use simple mathematical equations to assess how much nitrogen these plants are obtaining from their prey. This will provide some insight into the advantages to plants of being carnivorous rather than ‘vegetarian’. With increasing global nitrogen pollution, it will also be interesting to assess this in a relatively pristine site to provide ‘baseline’ data for potential changes in the future. I am much better known for my work on tropical ecology and am excited to travel to a contrasting environment and use some of the scientific techniques I employ in the rainforest in the tundra. Follow Francis on his blog: What can nitrogen isotopes tell us about the diet of butterworts (Pinguicula vulgaris)? Dr Adam Booth (above, left) is a Research and Teaching Associate at Imperial College London (UK). In his research, he applies the geophysical methods of seismology and ground-penetrating radar (GPR) in near-surface survey settings, addressing problems in archaeological, engineering and glaciological projects. In collaboration with Dr Benedict Reinardy (above, centre) from the University of Bergen (Norway), a specialist in glacial sedimentology, Adam will be conducting GPR measurements in April 2014 around the lower reaches of the glacier Midtdalsbreen, an outlet of the Hardangerjøkulen ice-cap. The field campaign is motivated by a hypothesis about the basal conditions of Midtdalsbreen: landform evidence in the glacier foreland lead Benedict to suggest that ice is frozen to its bed, and GPR methods will be used to investigate this theory. Joining Adam and Benedict is Dr Anna Hughes (above, right), also from University of Bergen. Anna is also an expert on palaeoglaciology and geochronology, and this will be her first experience of a geophysical field survey! This summer we will go with a team of 4 students and 2 professors to Finnish Lapland. We are going to set up a new research on woody expansion in boreal systems. Let me first introduce you to the professors. Juul Limpens (above, left) focuses on interactions between soil, water, plants, and the atmosphere to understand how environmental changes may affect plant community structure and ecosystem processes such as carbon accumulation and nutrient cycling (https://www.wageningenur.nl/en/Persons/dr.-J-Juul-Limpens.htm). Milena Holmgren (above, middle) focuses on the understanding of plant community diversity, structure and dynamics and how these affect ecosystem functioning (https://www.wageningenur.nl/en/Persons/dr.-M-Milena-Holmgren-Urba.htm). Both are currently working on the effects of climate variability on vegetation changes, studying the ecological conditions that trigger tree and shrub regeneration and expansion. Further, the team consists of 4 master students: Roel Postma (above, right), Ana Margarida Pereira (bottom, left), Johan Meijer (bottom, middle) and Mariette Suyker (bottom, right). All students study Forest and Nature conservation at the Wageningen University. The field work will be conducted near the Kevo Subarctic Research Institute. We will characterize tree recruitment in microsites that differ in shrub canopy, permafrost condition and grazing levels. In addition, we will set-up field experiments. Hey! I am a first year PhD candidate at University of Turku, Finland. I graduated last September with Masters in Geography. The objective of my PhD thesis is to increase the understanding of flow changes in the Arctic rivers and the impact of the observed changes on the river system dynamics covering the last 30 years. I do this by applying and developing satellite-based change detection methods, statistical time series analyses and flow simulationmethods. Petteri Alho (above right), my travelling companion, in my principal supervisor. Petteri is adjunct professor and academy research fellow at the Department of Geography and Geology, University of Turku. Petter leads the Fluvial Research Group in which I do my PhD (www.utu.fi/fluvial). I’ll be writing our blog about our stay in the Kluane Lake Research Station next autumn. I will also write about our field work that will be conducted in Mackenzie and Yukon areas during the same stay. Follow Jenni’s adventures from the blog Changing flow characteristics and their impacts of river system dynamics in the Arctic. 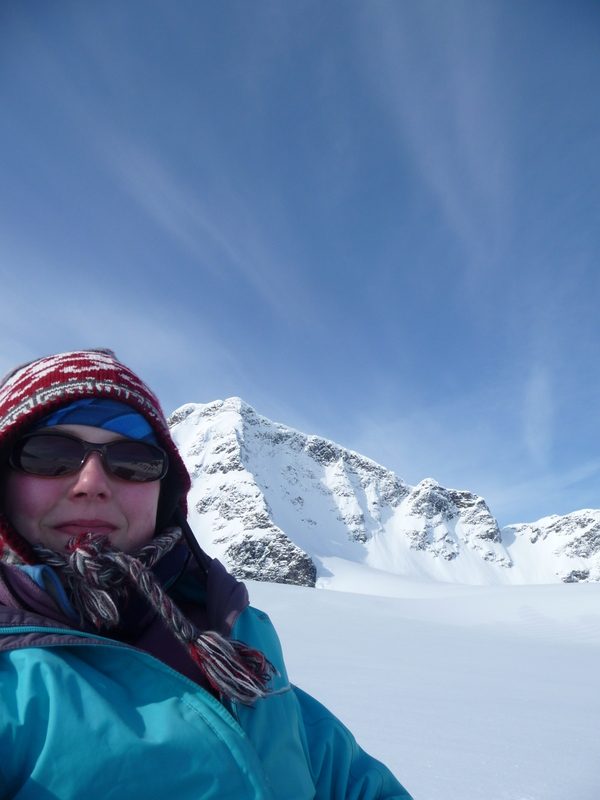 Catherine Docherty is a PhD student at the University of Birmingham and with thanks to funding from INTERACT Transnational Access, she will be undertaking her 2nd field season in the beautiful Zackenberg valley, northeast Greenland, in summer 2014. The NUFABAR project aims to understand the effect of climate change on freshwater biodiversity in Greenlandic streams. This will be done by looking at the link between water source contributions, physico-chemical habitat and invertebrate communities. Catherine has an ecological background, having obtained a BSc in Ecology from the University of Sheffield, UK, and a Masters in Conservation Biology from the Complutense University of Madrid, Spain. These led to her current PhD studies with Alexander Milner and David Hannah at the University of Birmingham. She will be joined for the first week of field work by Alexander Milner. Join Catherine’s adventures in her blog NUFABAR -Nutrient Fluxes and Biotic communities in Arctic Rivers! We are a team of scientists from the Environmental Research Institute (www.eri.ac.uk) in the far north of Scotland and part of the Univeristy of the Highlands and Islands (www.uhi.ac.uk). Our project is entitled: How climate change may affect the composition of Dissolved And Volatile Organic Carbon Compounds generated by Arctic Peatlands (DAVOCCAP). We are interested in the effect of climate change on carbon storage and chemistry in northern peatlands. We plan to visit a series of sites, using latitude and prevailing temperature as a proxy for climate. We will be studying the composition of dissolved and volatile organic carbon compounds, which are two key components of the carbon cycle. Our team are:Dr Roxane Andersen, a peatland ecologist who has worked extensively on peatland restoration. Dr Mark Taggart, an environmental biogeochemist, with a background in soil science and environmental analytical chemistry. Paul Gaffney, a PhD student investigating aquatic carbon, BVOCs and water quality in relation to restoration of afforested peatlands in the Flow Country of Northern Scotland. We are going to visit Mukhrino and related Numto Park field stations with INTERACT this coming August, where we will spend roughly three weeks making our field measurements. Dr. Sanda Iepure is a Researcher in the Water Department, Madrid Institute for Advanced Studies (Spain), specialized on taxonomy and ecology of Ostracoda and Cyclopoida, Copepoda. 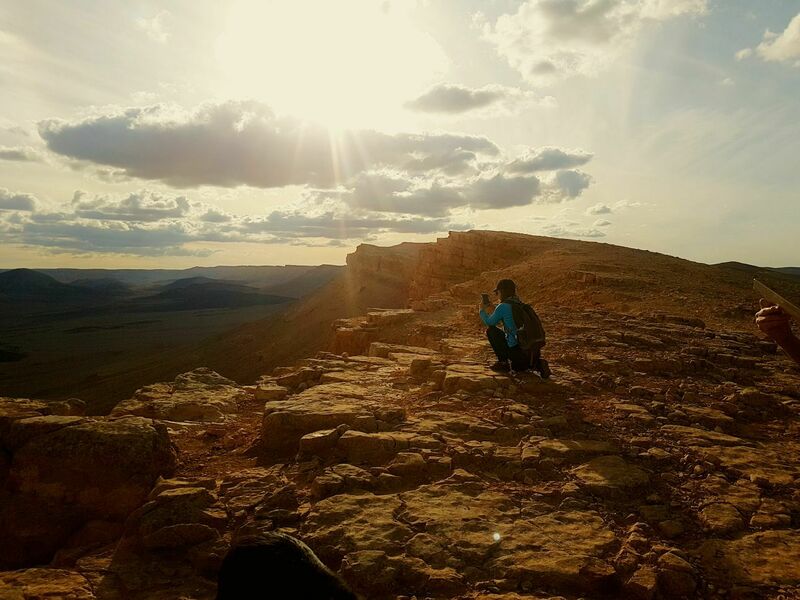 Her research interest focuses on groundwater ecology and limnology, cave biology and Quaternary paleoclimate and paleoenvironmental reconstructions using non-marine ostracods. Currently, she is working on groundwater ecohydrology in Mediterranean and Arctic environments, with emphasize on hyporheic biota from glacially influenced river systems. Dr. Tadeusz Namiotko is Professor at the University of Gdansk, specialized in taxonomy and ecology of living and subfossil (Quaternary) freshwater Ostracoda, with broader research interest in (palaeo-)limnology, biodiversity, stygobiology and evolutionary ecology. His current research concerns studies on a) the morphology, diversification and phylogeny of stygobitic and stygophilic Ostracoda, b) subfossil ostracods from sediments of postglacial and ancient lakes as well as the Baltic Sea as proxies for palaeo-environmental reconstruction, c) evolutionary ecology and taxonomy of ostracods from temporary waters, and d) taxonomy and biogeography of boreal/arctic and tropical non-marine ostracods. Follow the team’s adventures at Life Beneath the Streams in the Arctic blog. Simon Zwieback is a PhD student at ETH Zurich, Switzerland. Together with Annett Bartsch (LMU Munich, Germany; University of Salzburg, Austria) and Birgit Heim (Alfred Wegener Institute, Germany) he will be conduncting in-situ measurements in the Lena Delta. These observations will help the researchers to assess and improve existing remote sensing methods (mainly radar and optical) of periglacial processes. Amongst the multitude of such processes, the focus will be on two kinds: those affecting the rims of thermokarst lakes, and those related to land subsidence associated with permafrost thaw. The MAGIC project (Microbial And Geochemical Insights into Lake Torneträsks sediment archive) was initiated by Jorien Vonk (Utrecht University) and Paul Mann (Northumbria University) in collaboration with Carl-Magnus Mörth (Stockholm University) and Hendrik Vogel (University of Bern, Switzerland). We are interested in Lake Torneträsk because (1) it is the largest mountain lake in Scandinavia, (2) is situated in an area that is showing a significant warming trend since 2000, and (3) there are signs that the lake has received an increased flux of degraded terrestrial organic matter since ~1975, potentially from increasing permafrost thaw. We will travel to Abisko in early October for about a week to collect sediment samples along the southern shores of the lake that receive the largest river inflow. Back home in the Netherlands and in the UK we will analyze the samples using geochemical and microbial techniques to learn more about how aquatic ecosystems may respond to altered fluxes of terrestrial organic matter across the Arctic. More specifically, we hope to gain further insight into how climate warming will change the quality of organic matter, and how this affects microbial communities. These changes can influence carbon turnover and storage in sediments. It might be a bit chilly in October but because both Jorien and Paul are doing fieldwork in Siberia during summer (Jorien on an icebreaker, Paul in the Kolyma River region) we can unfortunately not visit Abisko earlier. Nevertheless, we are looking forward to our visit! Learn more about the Torneträsk mysteries from Jorien and Paul’s blog! Dr Suzanne McGowan is an Associate Professor at the University of Nottingham, UK and has worked for more than 10 years in Greenland. Suzanne’s research combines paleolimnology with aquatic ecology and has specific expertise in the analysis of chlorophyll and carotenoid pigments. 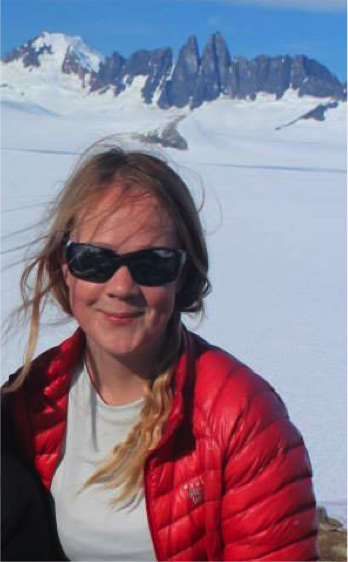 Dr Erika Hogan is a post-doctoral Research Associate at Loughbrough University, UK and has worked previously on projects in Greenland, assessing the ecological impacts of nitrogen deposition in lakes in Kangerlussuaq and Sisimiut. Dr Emma Pearson is a Senior Research Associate at Newcastle University, UK and specialises in using lipid biomarkers to reconstruct Quaternary and Holocene environmental change and has experience working in Antarctic environments. 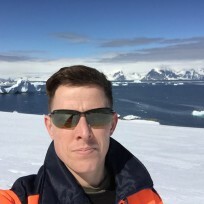 Mark Stevenson is a PhD student at the University of Nottingham and will use the analysis of lipids and pigments from sediment cores from western Greenland lakes to reconstruct Holocene climate change, focusing on methods to assess the sources of aquatic and terrestrial carbon. We will all visit Arctic Station, Disko Island from 16th to 23rd April 2013. Read more about the team’s adventures from their blog LAC-VEG Arctic lake carbon processing and terrestrial vegetation transitions. The team is from Geography & Environment, University of Aberdeen, UK and comprises Prof. Kevin Edwards (palaeoecology), Dr. Brice Rea (glaciology), Dr Ed Schofield (palaeoecology) and Dr Matteo Spagnolo (glaciology) and we will be working from FINI Station on the Faroe Islands. The project will combine palaeoglaciological reconstructions and palaeoecological proxies to determine the palaeoclimate of the Faroe Island during the late glacial period. The research will focus on two areas: 1) mapping and characterising moraine systems which will be used to determine palaeo-glacier geometries, dynamics and mass balance. Sampling will be undertaken to determine chronologies for the moraine system/s using for cosmogenic, luminescence and 14C dating; 2) identify long palaeoenvironmental records from peat bog deposits and sample these for subsequent palaeoecological analyses and chronological control using 14C. Results from both components will be used to determine the palaeoclimate of the Faroes for the late glacial. Importantly,reconstruction of the palaeo-precipitation will indicate the location of the Polar Front in relation to the Faroe Islands. Follow the team’s work from their blog FaroeICE – Palaeoclimate of the Faroe Islands using palaeoglaciological and palaeoecological proxies. I am a first year PhD student at Aberystwyth University studying the microbial ecology of sub-Arctic heath. My fieldwork will be based in the stunning landscape that surrounds the Abisko National Park, taking advantage of the 20 year field experiment set up by Dylan Gwynn-Jones, now of Aberystwyth, and colleagues from Sheffield University, in 1994. I graduated from Bangor University in 2011 with a Masters in Environmental Science, supervised by Prof. Tom DeLuca, where I first developed my interest in soil science, leading me to undertake a research project with Arwyn Edwards at Aberystwyth. Arwyn has a keen interest in cryosphere microbiology and together we will explore the direct and indirect effects of future elevated CO2 scenarios on the structure and function of the Arctic soil microbial community in this region. With contribution from INTERACT Transnational Access I shall be travelling to Abisko throughout the spring and summer field season in 2013, sampling the plots and enjoying the scenery of this picturesque landscape, and hopefully find time in between to keep you updated on my blog! Follow Richard’s field work from his blog Forecasting climate change effects in 2050 – a microbial perspective! Dr Gary Bilotta is a Senior Lecturer in Physical Geography at the University of Brighton (UK). His research focuses on four main themes associated with the management of the quality of water resources and biodiversity of freshwater ecosystems: (1) Quantifying the fluxes of particulate matter (sediments) from terrestrial to riverine environments, (2) Modelling the environmental, climatic, and land-use controls on these fluxes, (3) Advancing understanding of the particle characteristics that determine the effects of these fluxes on water resources and freshwater ecosystems, (4) Developing evidence-based water quality guidelines and advanced monitoring approaches for international water resource legislation. To find out more about Gary’s research: http://brighton.academia.edu/GaryBilotta. Follow Gary’s field work from the ECOFORS- Environmental and Climatic Controls on Fluxes of Riverine Sediments blog. 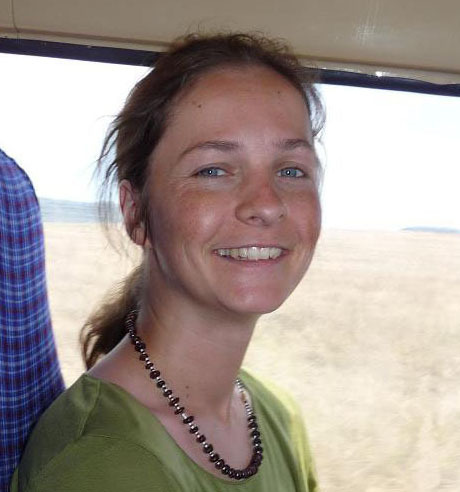 Charlotte Axtell is PhD student at Swansea University, UK studying glacio-geophysics. Her undergraduate was at the University of Leeds, where she graduated in 2011 with a Masters in Geophysics (MGeophys). It was from this degree that made Charlotte interested in the practical side of geophysics. Thanks to funding from the INTERACT project, she will be undertaking her first field season to collect data for my PhD. Based at Tarfala Research Station in Swedish Lapland, Charlotte will be working in the lower region of Storglaciären; a glacier flowing east from the Kebnekaise massif. She will be studying the micro scale properties of ice, in an area 1km from the snout of Storglaciären, using complementary borehole geophysical techniques. 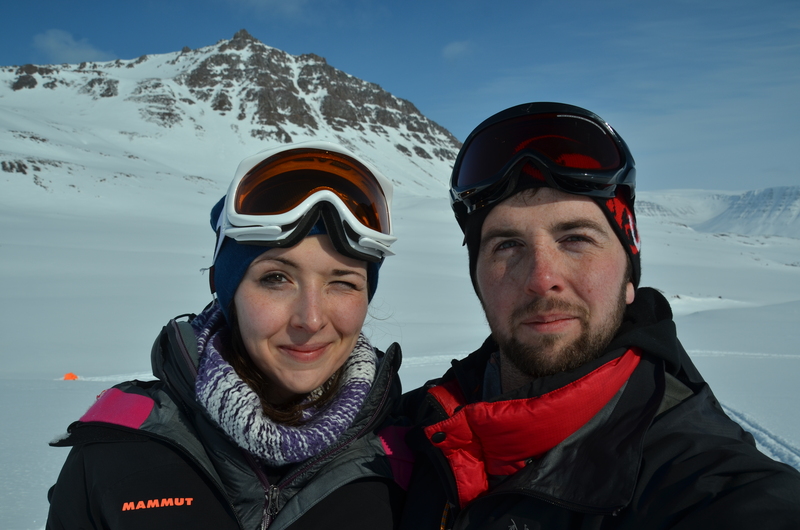 Follow Charlotte’s blog Geophysics on Ice to learn more what’s going on with her field work! This summer a team of three people from the School of Earth and Environment at the University of Leeds will travel to Tarfala to conduct in situ bio/geochemical measurements and to collect a series of snow and ice samples from the glaciers around the Tarfala research station. The main aim of our field work is to determine how microbial life is distributed on thes snow and ice fields around Tarfala and to determine how microbes survive and adapt to harsh, cold environments. We will evaluate how the snow and ice algae and bacteria affect carbon cycling on glaciers and aim to link microbial community structure with several other geochemical parameters like light availability and nutrient cycling. We will also address the inter- and co-dependencies between the various cold-loving organisms found on snow and ice on a glacier (cryophiles). Our team has members who complement each other in experience, knowledge and skills. Prof Liane G Benning has is an experimental biogeochemist who’s research spans geochemistry, mineralogy and microbiology, Stefanie Lutz is specialized in microbiology, geoecology and Geobiology. The final member of the team Benjamin J Wilcock comes from a zoology and biology background, with past work on psychrophiles and Mars cryogenic environmental analysis. Follow the team’s work at Leeds Cryophiles blog. Meet the Team! 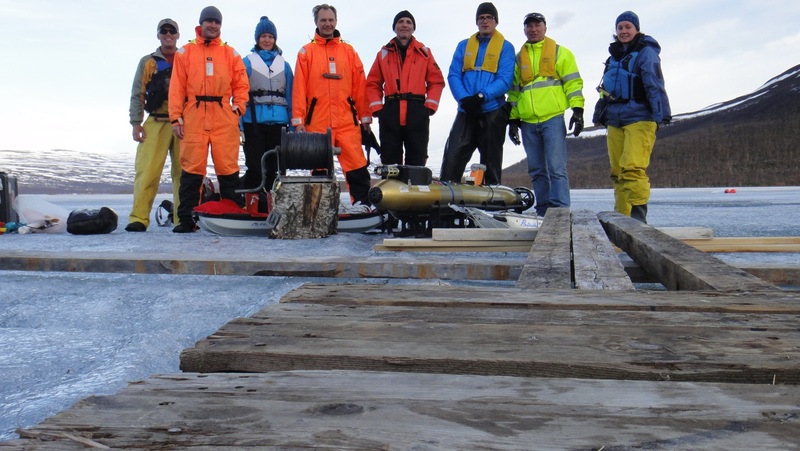 The international CONCUR team will perform a complex field experiment under the ice of polar Lake Kilpisjarvi. The aim is to reveal how the solar radiation penetrating the ice cover drives circulation and mixing in the coldest lake of Western Europe, Kilpisjärvi. Kilpisjärvi is a lake in northwest Finland. The team of researchers (pictured right to left) consists of Larry Kost (Canada*), Will Rizk (Germany*), Elisa Lindgren (Finland), Georgiy Kirillin (Germany*), Christof Engelhardt (Germany*), Alex Forrest (Australia), Jeff Williams (New Zealand), Kelly Graves (Canada*), and Matti Leppäranta (Finland, not pictured). * user group receiving TA support. Follow the team’s work from the Exploring under-ice in a polar lake – the Kilpisjärvi edition blog. Five researchers from the UK’s Floodplain Meadows Partnership, based at the Open University, are trying to understand how hydrology affects vegetation patterns in the natural meadow systems along the River Ob in Siberia. The team, led by Prof David Gowing, has worked on a related question in UK, where the meadows are heavily managed, for over 10 years. Dr Irina Tatarenko, a botanist originally from Russia, has coordinated the Siberian trip. A fellow grassland botanist, Hilary Wallace, will assist her in recording vegetation along the Ob. Dr Mike Dodd will lead the topographic surveying and Prof Gowing, assisted by Emily Dresner, will install hydrological monitoring equipment. They look forward to collaborating with fellow researchers at the Mukhrino Field Station near Khanty-Mansiysk. Follow Siber-Niche team’s adventure from their blog Hydrology and diversity in Siberian Meadows. Karin Ebert studied Geography in Bamberg/Germany and Stockholm/Sweden. She holds a PhD in Physical Geography from Stockholm university and is employed at the Department of Physical Geography and Quaternary Geology at Stockholm university. 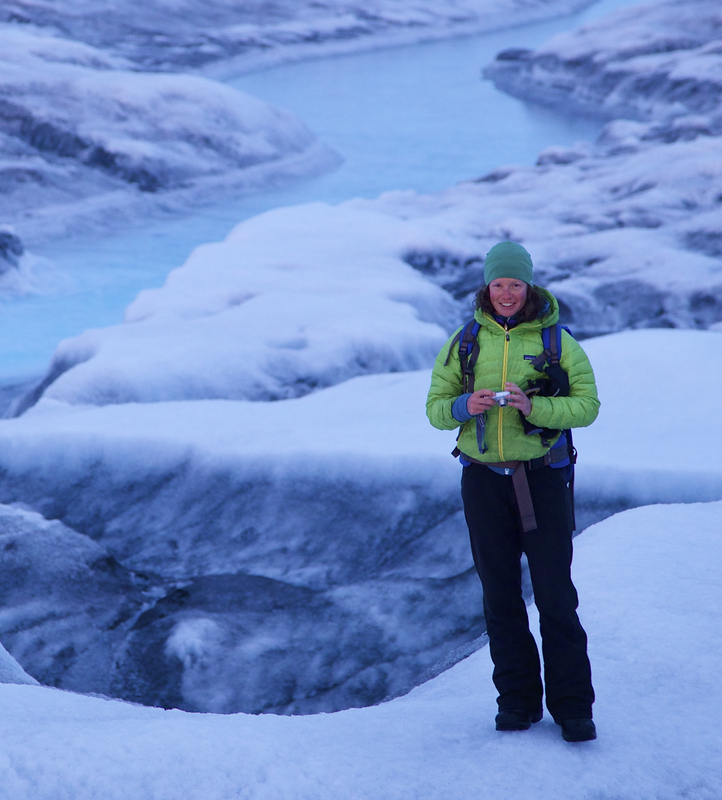 Karin is a geomorphologist and especially interested in the development of northern, glaciated shield landscapes. The GEONORTHS project aims to investigate the impact and quantity of Quaternary glacial erosion on the shield landscape in northernmost Finland. Karin and her colleagues work with a combination of GIS-analyses and fieldwork. Aim of this fieldwork is to map new areas that were identified as promising on the digital elevation model (DEM). Karin has been on fieldwork in northern Fennoscandia (Sweden, Finland and Norway) almost every year since 2004. She is thrilled that INTERACT gives her the possibility to explore for her unknown areas on the shield and looks very much forward to get back to the vastness of the northern plains. Read Karin’s blog GEONORTHS -studying glacial erosion on northern Shields. I graduated from Sheffield University with a BSc in Biology and went on to obtain an MRes in Ecology at York University. My interest in arctic and subarctic systems has led me onto a PhD with Phil Wookey and Jens-Arne Subke at the Universities of Sheffield and Stirling. I’ll be writing my blog with a well earned beer in hand after great days in the field! Follow Tom’s field work from his blog Tales from the tree line -A first year PhD student . A team of three scientists from CEH Edinburgh – Stephen Cavers, Witold Wachowiak and Annika Telford – is travelling from Edinburgh to the Shapsha and Mukhrino field stations near Khanty-Mansiysk in central Russia. We are collecting Scots pine to look at their fine-scale genetic structure in Siberian populations, and also as part of a larger project in order to study how genes control phenotypes in different environments. By combining this new data with populations from Western Europe we hope to look for genomic regions and gene networks involved in intraspecific adaptation to the environment. This new collection will provide valuable information about how Scots pine forests in Siberia compare to those in the west. 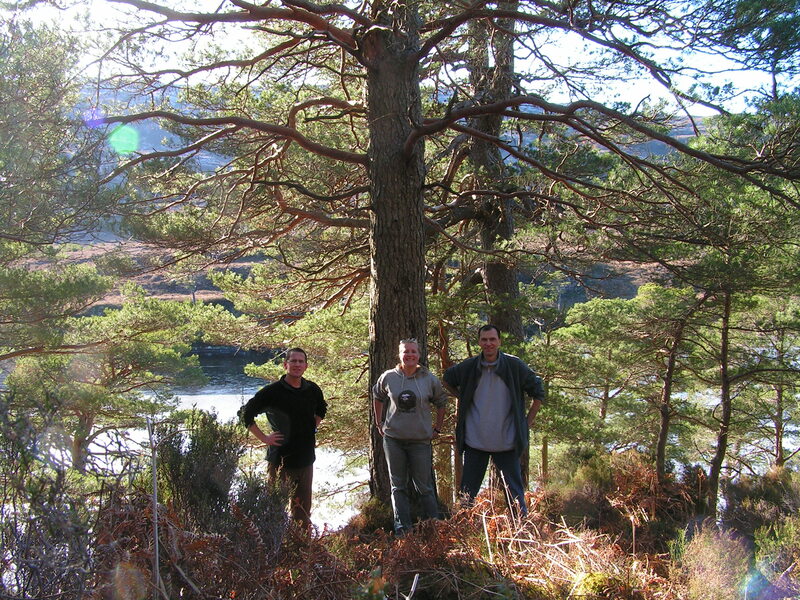 Read the blog Scots pine genetics – from Scotland to Russia to learn more about the team’s adventures! student Roy Zaidenberg and Dr. Gil Ben-Natan), he thought it would be interesting to compare the results of such assessments in the Cairngorms National Park, and applied for an INERACT Transnational Access to assess ecosystem services in extreme environments – from the hyper-arid to the sub-arctic. When he’s not doing this, Daniel studies urban sprawl, population growth and other 21st century environmental challenges, and works with the Israel long-term ecological research (LTER) network to develop methodologies for ecosystem service assessment and initiating Israel’s first long-term socio-ecological research platforms. 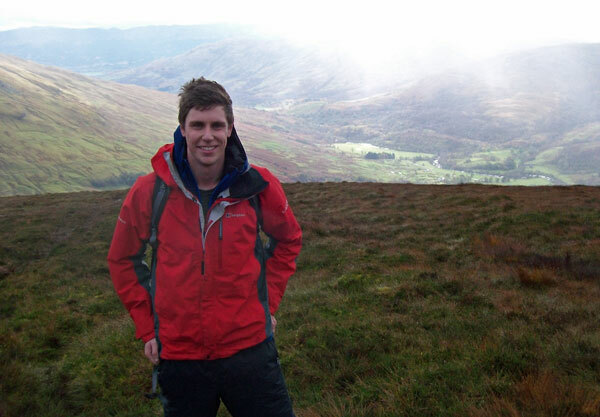 Read Daniel’s blog Eco-SEE – ecosystem services social assessment in extreme environments to learn more about his field work at Cairngorms! Sven Fuchs studied Geography and Geology at the Universities of Munich (Germany) and Innsbruck (Austria). He graduated in 2000 and was subsequently working on the dynamics of snow avalanche risk at the Swiss Federal Institute for Snow and Avalanche Research SLF in Davos. He holds a PhD from the University of Innsbruck and a Habilitation for Geography. Currently Sven is affiliated with the Institute of Mountain Risk Engineering at the University of Natural Resources and Life Sciences in Vienna, Austria. His research interests include geomorphology, hazard and risk assessment, and resource economics with a focus on European mountain regions, arctic environments, Central Africa and South-East Asia. Read Sven’s blog ARCTIC RISK – spatiotemporal development of snow avalanche risk to learn more about the project’s field work.